I’ll be signing this new anthology, THE HIGHWAY KIND, Tales of Fast Cars, Desperate Drivers, and Dark Roads, along with authors C.J. Box, Gary Phillips, and James Sallis, at a release party on Saturday, November 5, 2016 at 7:00 p.m. at The Poisoned Pen Bookstore, 4014 N Goldwater Blvd #101, in Scottsdale, Arizona 85251. 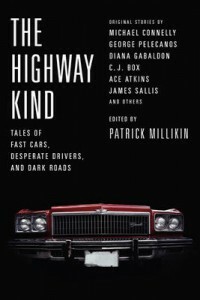 Edited by the Poisoned Pen’s own Patrick Millikin, THE HIGHWAY KIND contains NEW original short stories by Michael Connelly, George Pelecanos, C. J. Box, Ace Atkins, and myself. This book is also presigned by Michael Connelly, and Patrick Millikin. Authors also in attendance, but not signing the book, will be Hank Phillippi Ryan and Linwood Barclay. More detailed information is on this and other events are listed on my official Appearances page. I’ll also be at a launch party celebrating the new book, THE MAKING OF OUTLANDER, SEASONS ONE AND TWO, on Thursday, November 10th, at 7 p.m., with Tara Bennett (who actually wrote and assembled this lovely book) at the Hilton Resort, 6333 N Scottsdale Road, in Scottsdale, Arizona 85250. 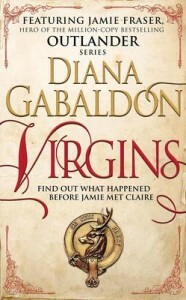 (I wrote the Foreword to THE MAKING OF OUTLANDER, is how I get in on it. I’m also in it, here and there.) 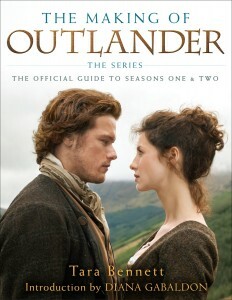 This book has lots of great behind-the-scenes details on the making of the STARZ Outlander series. Plenty of copies of this book will be available for purchase at the event ($50), pre-signed by Tara Bennett and myself. If you purchased your book already from the Pen, please bring your receipt. This event is free and open to the public. No tickets are required. Free valet parking and a cash bar are offered by the Hilton. Doors will open at 6 p.m.
More detailed information is on this and other events are on my Appearances page. The Pen suggests that you order your copy of “Virgins” soon to avoid disappointment. Note that added inscriptions besides my signature must be limited to no more than five words and cannot be guaranteed. The Poisoned Pen carries all of my books (U.S. versions), and they ship anywhere in the world. Lovely Diana, you have kept me going with the sensational stories for more than 20 years. I loved Jamie’s character long before he appeared in the flesh. So many wonderful adventures clearly told and translated onto screen. The cast include so many favourite British actors of mine. I loved the clever touch of putting “Jamie” Frazer Hines as the Governor. We are the same age, you and I, you mention so many things that fascinate and in the last book you talked about the condition of mixed up senses. I suffered this as a child and never told anyone. May I compliment you on your ability to make the stories so Scottish? Your research has proved a great success. As an English woman living in Yorkshire, UK I feel very close to the stories and I must thank you for your inspiration for so long. Long may your stories continue. I am not a fan(ugly word) but a devotee. Through my mother’s family I am Scottish so I have loved your novels. My grandfather Robert Roy Stewart was the son of Robert Dalrymple Stewart born in Ayrshire in 1856. There was a rumor in my mother’s family that we were related to Mary Queen of Scots but I have not been able to trace the family back to her. You have started a trend. Many would be authors have tried to copy you and all that I have read so far have failed miserably. I look forward to #9. You have made the richness of Scotland come alive for me and since I am 75 and not in the best of health I know I will never be able to travel to the land of my ancestors, so I read your books instead. I love your books. I can’t wait for the next one. I have bought and read all of them so far. I read at night before I sleep. I read until I can’t keep my eyes open. Now I am stuck on the tv series and have bought every one they have released. I can’t help myself. Looking forward to your book nine and the next Dvd.